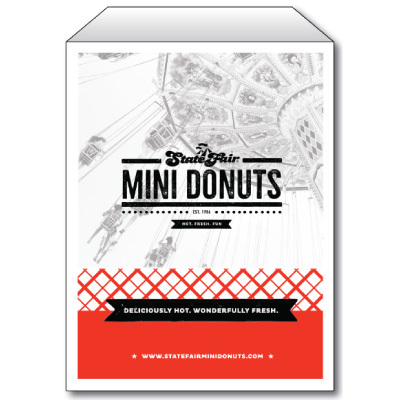 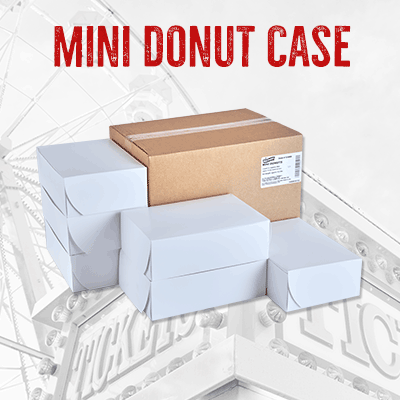 Our original flavor, the favorite of the mini donut connoisseur. 20 lbs. 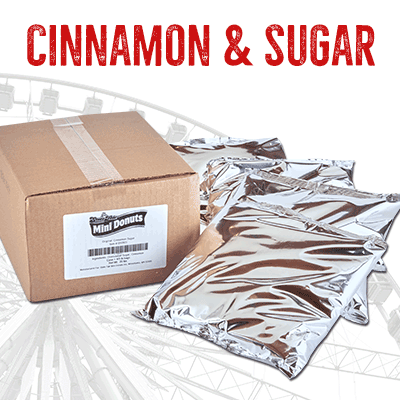 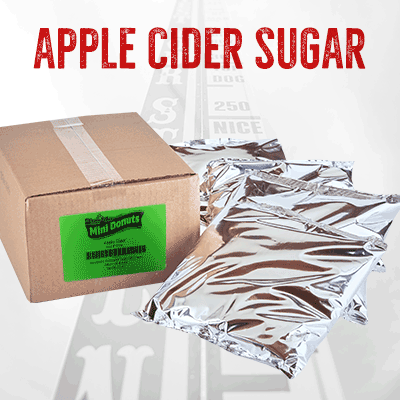 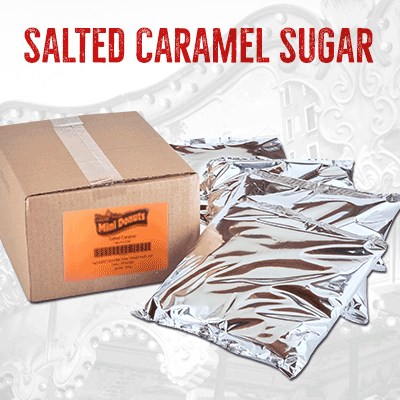 of Cinnamon & Sugar – Each case includes (4) 5 lb bags of our perfectly blended cinnamon/sugar mix.